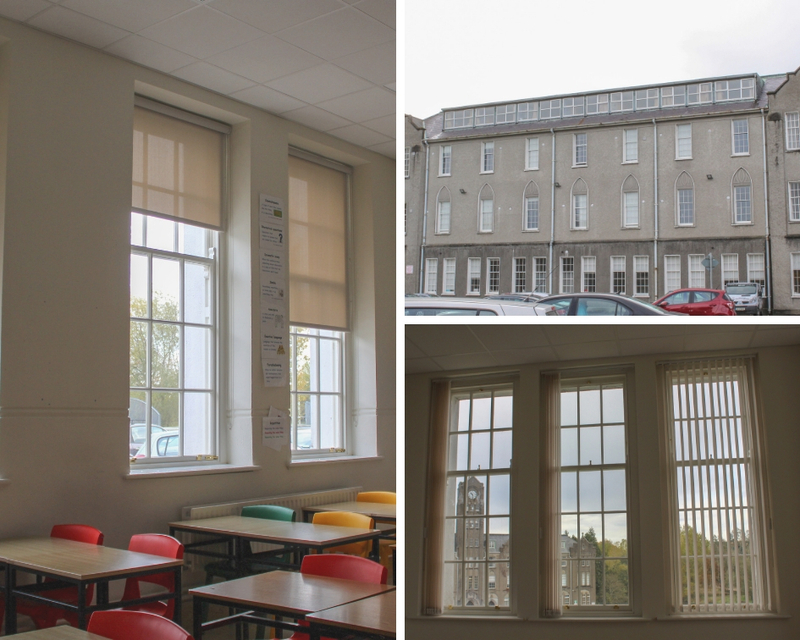 Timeless Sash Windows were delighted to be contracted to undertake a complete overhaul of the windows in Newbridge College in Co. Kildare during the Summer 2018. The school itself was founded in 1852 and operates as a school to this day under the Dominican Catholic ethos. The building being renovated this year is the Senior House, which was built in 1952 opposite the Junior House with its celebrated clock tower. 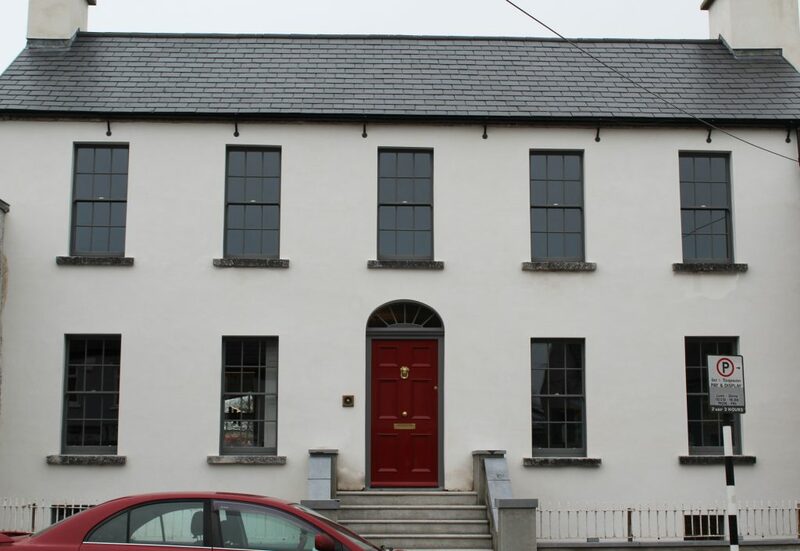 The Senior House is a protected, listed building under Irish law and as such, the board of management was obliged to retain its character as close to its original designs as possible. 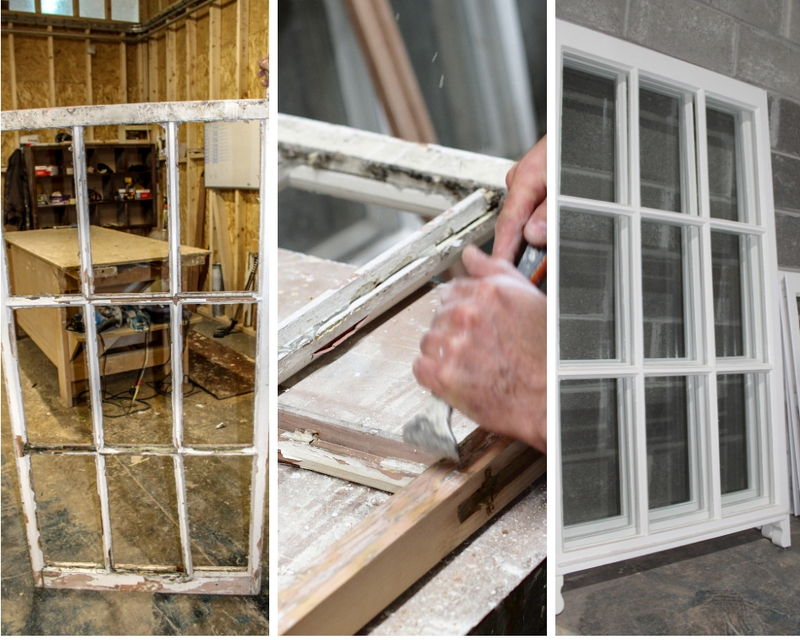 Many of the original timber sash windows had been replaced with PVC in the late 80’s and early 90’s. 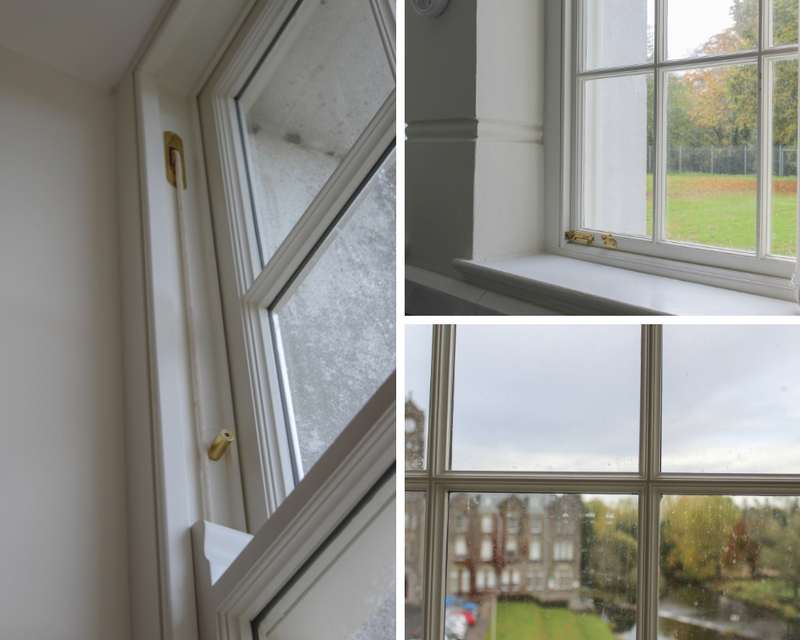 Timeless Sash Windows were contracted to replace the PVC windows with timber sashes in timber frames. The PVC windows were in bad repair and hard to open, partly because the handles were located awkwardly high up on the outward opening windows. The new timber sashes are easy to slide up and down, with locking catches and handles at the bottom of each pane. Many of the windows had frosted glass which blocked the stunning views over the river and sports fields, and darkened the classrooms. These frosted panes were replaced with clear glass during the renovation to fill the rooms with light and embrace the views, ultimately encouraging inspired thinking in the students. 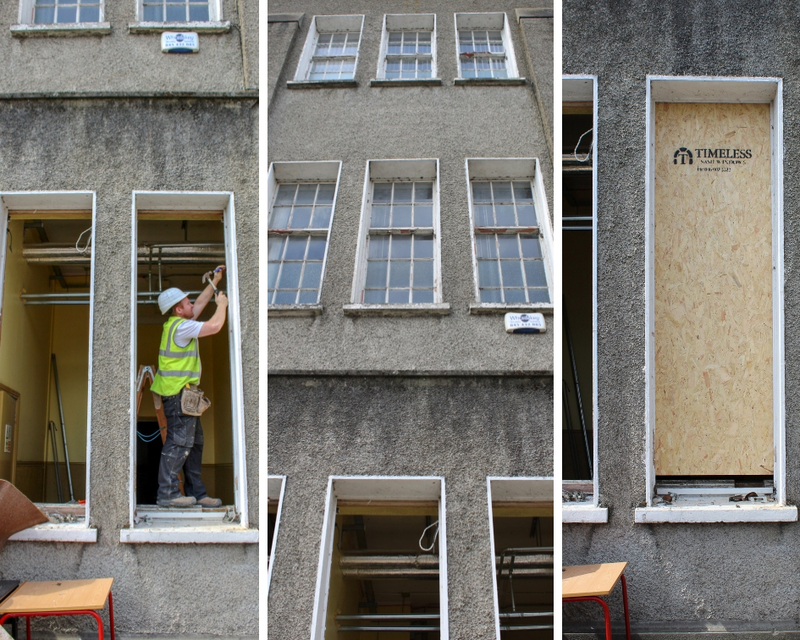 The windows that had original timber sashes and frames were assessed and repaired as necessary in the Timeless factory in Trim, Co. Meath. Many of these had very bad timber rot and decay. 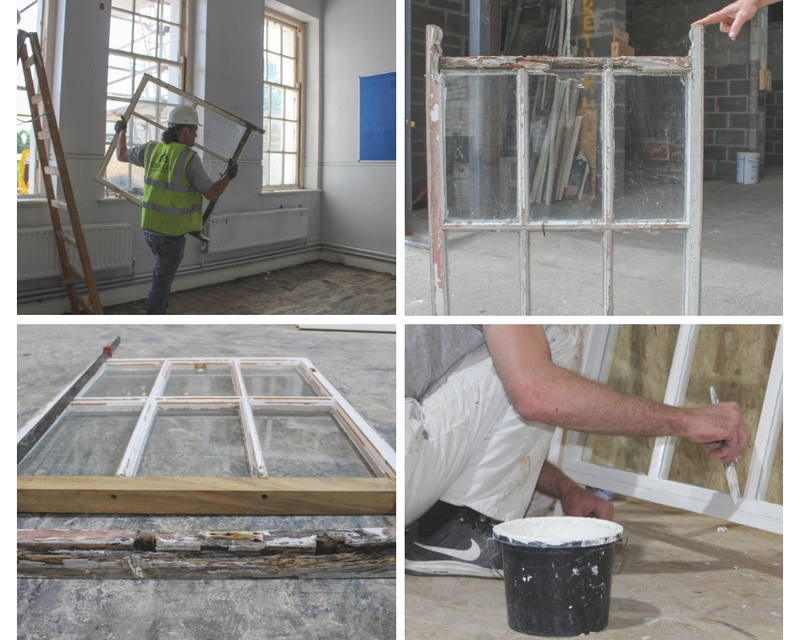 Our conservation department are experts in the refurbishment of historic windows, maintaining as much of the original as possible and timber matching the spliced sections for improved longevity. We also installed safety glass and the sashes and frames were finished painted as new before being delivered to the site. The timber frames were renovated and refurbished on site by our expert fitters. We recommended double glazing for the comfort of the students and teachers, as well as safety glass in the lower sashes for security. In addition, restrictors were put in place so that the lower sashes can only be opened a small amount on each window, enough to let in plenty of fresh air. Senior House has not just had the windows replaced, it underwent a full refurbishment in July and August 2018. This involved a full repaint, new flooring, new toilets, new ceilings, rewiring and increased standards to cooperate with modern fire regulations. 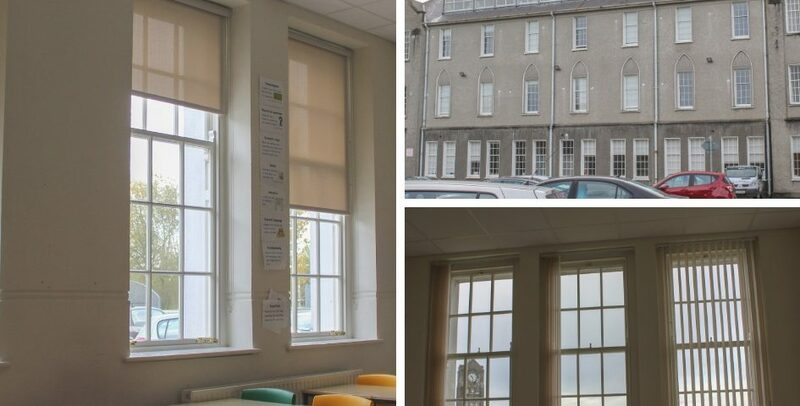 As window contractors, Timeless Sash Windows worked closely with the builders and architects to ensure an on time delivery before the school reopened for a new term at the end of the Summer holidays. The work was co-ordinated with the extremely efficient building contractors Carroll O’Keeffe for a delivery of the highest calibre. 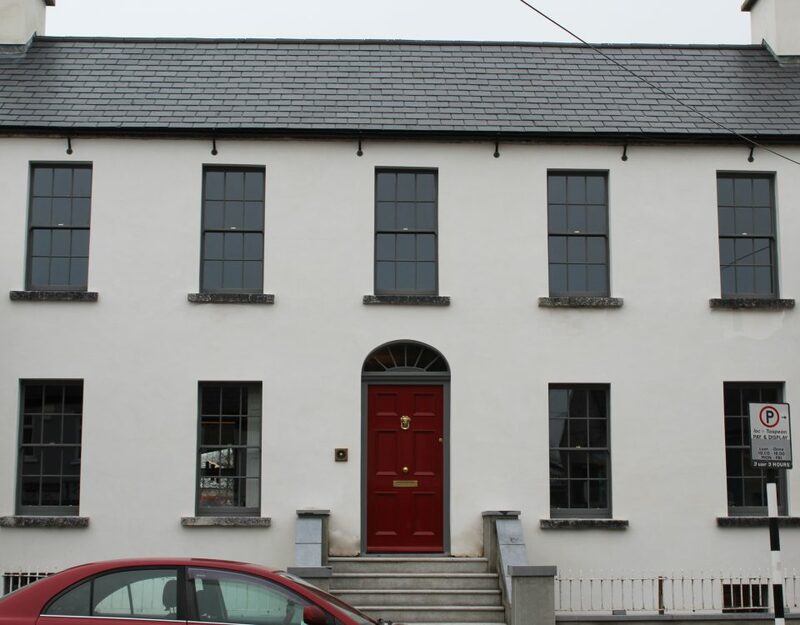 Newbridge College headmaster, Pat O’Brien, informed me how happy he was with the completed project and that it was a real improvement from the original state of the classrooms and offices housed in the building. The result is improved insulation and heat retention, brighter rooms and improved safety.